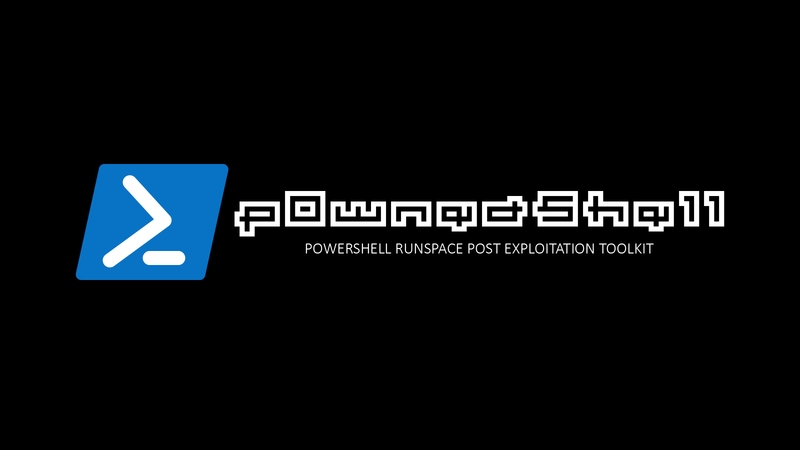 p0wnedShell is an offensive PowerShell host application written in C# that does not rely on powershell.exe but runs powershell commands and functions within a powershell runspace environment (.NET). It has a lot of offensive PowerShell modules and binaries included to make the process of Post Exploitation easier. What we tried was to build an "all in one" Post Exploitation tool which we could use to bypass all mitigations solutions (or at least some off), and that has all relevant tooling included. You can use it to perform modern attacks within Active Directory environments and create awareness within your Blue team so they can build the right defense strategies. Note:Running p0wnedShell using another Parent Process ID doesn't work from a Meterpreter session/shell.... yet! Powershell functions within the Runspace are loaded in memory from Base64 encode and compressed strings. Binaries are loaded in memory using ReflectivePEInjection (Byte arrays are compressed using Gzip and saved within p0wnedShell as Base64 encoded strings).